Accused Mexican drug kingpin Joaquin "El Chapo" Guzman is an "excellent father, friend, brother, son and partner," his young wife said as his landmark trial in New York wound up. "Everything that has been said in court about Joaquin, the good and the bad, has done nothing to change how I think about him after years of knowing him," Emma Coronel, 29, said in a message on her Instagram account late Thursday. During the trial, which closed Thursday, Guzman's former henchmen and colleagues said he had ordered the deaths of dozens of rivals, underlings suspected of being snitches and police officers who refused to take his bribes. 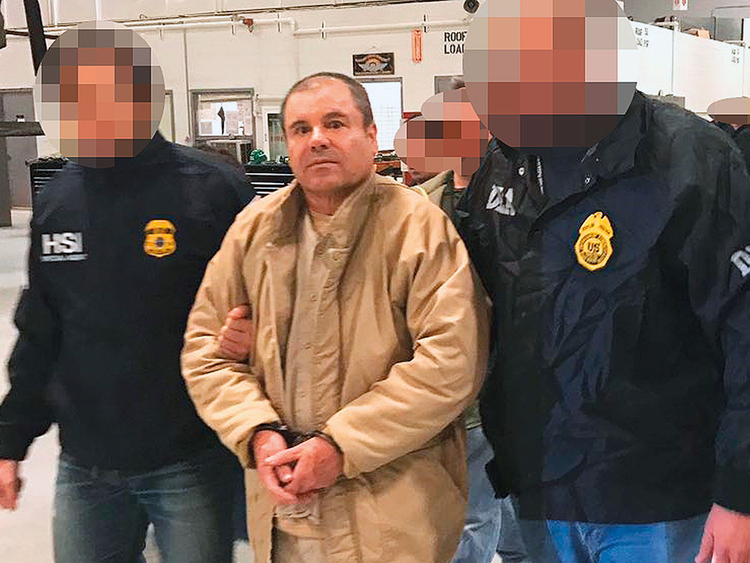 Part of the evidence presented by US prosecutors indicates that Coronel was at the very least an accomplice in Guzman's escape from Mexico's Altiplano prison in 2015. A former right-hand man of the drugs lord said that when Guzman was jailed between 2014 and 2015, he used Coronel's prison visits to pass messages to accomplices planning his escape via a mile (1.5 kilometer) long tunnel from the shower stall of his cell. "My name was often mentioned and called into question," admitted Coronel, a tall Mexican-American woman with long dark hair, with whom Guzman has two daughters. "I can only say that I have done nothing to be ashamed of. I am not perfect, but I consider myself a good human being who never intentionally hurt anyone," she said.